After saying goodbye to 2018, were starting the new year with fresh priorities and goals. 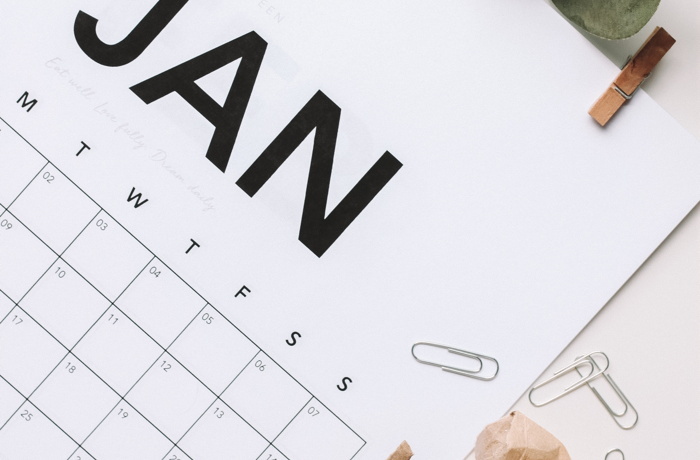 January is a great time for hoteliers to reflect on last years strategies and analyze results in order to create a blueprint for a successful new year. Determining your hotels most successful digital marketing initiatives is the first step to executing a strong plan that will achieve greater results this year than last year. It&apos;s important to start 2019 with a strong foundation to your digital strategy and be able to incorporate new initiatives as the year goes on. To get you started, we put together the top resolutions for hotels based on current and forecasted trends. Selecting the right CMS is important for your hotels digital strategy. Content management systems can help your hotel implement website personalization, present real-time rates and inventory, promote offers and specials, and more. All of these factors will showcase the property and can turn website visitors into bookings and revenue. As mobile continues to dominate, you should also make sure that you have a mobile-first, fully-responsive website design. 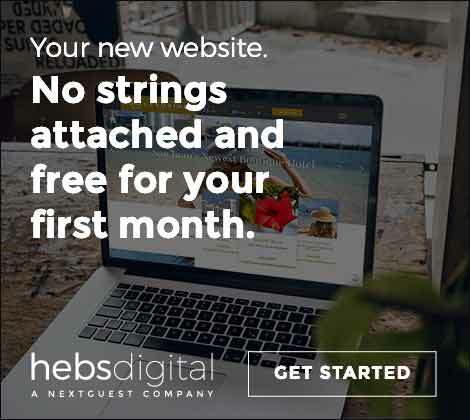 Last year, Google began to use the mobile page versions of a domain for indexing and caching in its search results, and subsequently, for ranking. Historically, the desktop version of a page was primarily used when evaluating the relevance of a page to a users query. 2. Make CRM a priority. The goal of customer relationship management is fairly straightforward  improve your hotel relationships with guests. A CRM solution can help to understand customers through data and deliver them messages that they want and care about. Data doesnt lie. Its evident that customers expect a personalized experience when they visit your hotel website. 74% of consumers feel frustrated when website content is not personalized (Infosys) and 77% have chosen, recommended, or paid more for a brand that provides a personalized experience. Its no longer enough to present potential guests with static website content and expect them to find what theyre looking for and make a reservation. In fact, a Salesforce study found that, by 2020, 51% of consumers will expect brands to anticipate their needs and make relevant suggestions. Through personalization, hotels can create a dynamic user experience. Rather than a broad experience that attempts to reach all possible travelers, hotels have the ability to create unique content that appeals to different segments in order to achieve specific business needs. In this way, the hotel website canand shouldbe the primary channel for engaging your best guests. 5. Invest in video. Video continues to dominate.70% of consumers have shared a brands video (Wyzowl) and 52% said that watching a product video makes them more confident in online purchases (Invodo). 7. Be aware of AI & BI. Over the past few years, weve heard about artificial intelligence. Advancements and innovations will have even more people talking about its potential impact on different industries, including travel. 8. Dont ignore the upper funnel. Often times, when analyzing the success of a campaign, hotels are led to believe the most important KPIs are bookings and revenue. While these metrics are significant, its also important to understand the purchase funnel. Marketing to users who are still in the early phases of their travel planning journey means engagement metrics are equally as imperative as reaching those who are ready to book. 9. Try influencer marketing. Its been a hot topic in the hospitality industry, but with 92% of consumers saying that they trust word-of-mouth recommendations more than any other type of advertising (Nielsen), its clear that influencer marketing isnt going away anytime soon. Many people are already used to interacting with chatbots online and 80% of businesses are already using or plan to use bots by 2020 (Oracle). And with the development of Facebook Messenger bots, its easier than ever for hotels to utilize bots in their online presence. The bots are programmed to understand questions and provide answers. The benefits of chatbots include reaching an audience directly, saving time and money on customer care, qualifying customers, handling transactions, and re-engaging users. A good example of this is Marriots Facebook Messenger chatbot The bot helps customers link rewards accounts and was so helpful that the company transitioned it into a booking bot. Overall, as you begin to execute your 2019 strategy, its important to be aware of the continuously changing trends and technology updates. Your resolutions can be a guide for your digital plan and should adapt throughout the year as business needs change and as technology innovations become available to you. Using this as a checklist can help ensure that your strategy stays on the right track and that your digital performance is successful through 2019.